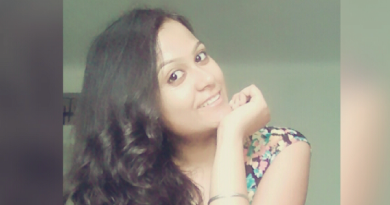 About the Author: Shweta Rishi is pursuing MBA in HR and Marketing from Rukmini Devi Institute of Advanced Studies, IP University. She shares insightful details about her journey from Meerut to Delhi and how internships played a major role in her coming of age. It was at the end of 2014 when I, a naïve girl from the small town of Meerut, was trying to settle in the new and fast-moving dynamic environment of Delhi. I had come to Delhi for my graduation. I was a very bright student in school but after I took admission in Delhi University, I started losing my confidence due to the sheer exposure that other students already had. I wasn’t able to cope with the fast pace of the college life too. While other students were always engaged in some sort of activity due to which they were popular in college, I was confined within the walls of those classrooms and couldn’t muster the confidence to compete with them. Then, one day, while browsing Facebook, I came across an ad for Internshala. I didn’t know what internships were but I was intrigued by reading about the part-time and work from home options. I visited the website, created an account, and started applying. Though the concept of internships was foreign to me, I thought that this was my chance to get acquainted with the corporate world and gain some exposure which my classmates seemed to have in plenty. After facing rejections from more than 5 companies, I was finally selected as the part-time sales and marketing intern at Nowfloats at Tughlaqabad. During the internship, I visited different shops for promoting the company’s app and to educate the owners about the benefits of making websites for their shops and how an online presence coupled with digital marketing would benefit them. I worked there for one month but couldn’t continue as my family was concerned about my traveling to a far-off place daily. I was upset, but Internshala had many other bright opportunities for me. In the second year, I started applying for work from home internships so that the distance could no more be a barrier to my dreams. I was soon shortlisted for an HR internship at Quaff Media Pvt. Ltd. In the telephonic interview, I confidently answered questions like why I wanted to join them, how I would manage both work and studies, and how comfortable I was in interacting with people. They were impressed and I was hired! It was a startup and the internship taught me a lot of lessons – I understood what working for a company means, how various responsibilities are managed, and how deadlines are respected. Apart from the responsibility of hiring candidates, I also handled some of the social media work and promoted the brand in my college too. At the end of the internship, I got my first internship completion certificate which meant a lot to me! Next, I got shortlisted for a content writing internship at Zailet Media Pvt. Ltd. I was asked to submit a sample article on the topic of ‘reservation system’. They liked my write up and after a short interview, I was hired. I wrote articles on various social issues and current affairs during that two-month internship after which I received my second certificate. And then, I got an email from Internshala which proved to be the turning point of my life. The email was regarding the hiring for the new edition of Internshala Student Partner program (ISP 6). The more I read about it, the more excited I was to become its part. I applied and gave a telephonic interview in which I had to record and send my answers to questions like ‘what inspired me to become an ISP’ etc. Soon, I was hired and that six-month period of working with Internshala is something that I cherish the most! I became a part of the Delhi Vanquishers ISP team and enjoyed a lot! Our buddy was also very helpful! I participated in different contests, promoted the company in colleges and fests, attended webinars, and learned a lot about marketing! After completing these internships and becoming the face of Internshala in my college, I gained a lot of confidence and soon became popular in the college too! The immense value that was added to my resume was the cherry on the cake. We also invited Mr. Shadab Alam (Head, Corporate Relations, Internshala) for a seminar in our college and the session was an amazing experience! I further did an HR internship at LUDIFU where I hired and managed a team of social media interns before finally pursuing an MBA. From being a scared new girl in the city to becoming a confident and popular leader in college, I’ve come a long way. And Internshala has been my constant companion in this journey, guiding and supporting me through all the rough patches. Thank you, Internshala, for helping me discover my potential and changing my life. Loved how Shweta came out of her cocoon and unearthed her potential? Then what are you waiting for – apply to these HR internships and plunge into the corporate world! Kudos. So this way you shaped you journey. Best wishes. May you grow more! Very inspiring and motivating specially for girl like me who is from small city and don’t get the exposure. Internshala is indeed very helpful and can play a life changing role . For the best site in the generate wsop free chips redeem codes best site to the desktop.